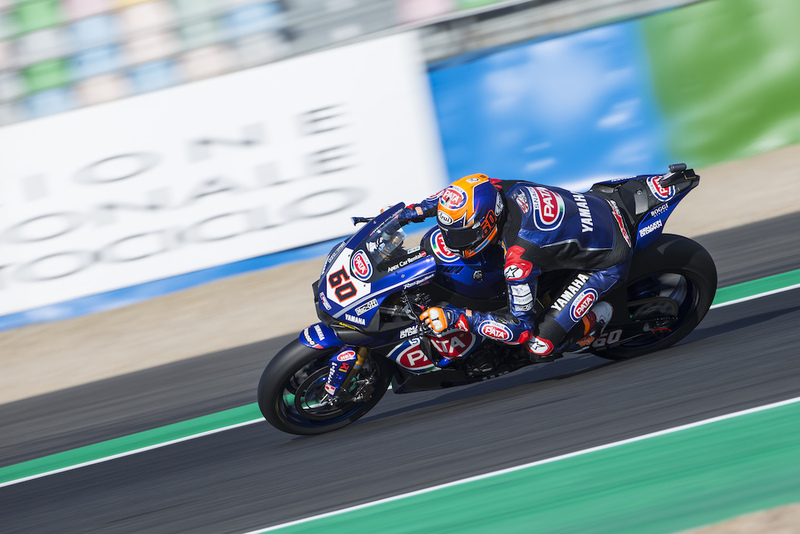 Michael van der Mark and the Pata Yamaha Official WorldSBK Team enjoyed a solid opening to Round 11 of the FIM World Superbike Championship in France today. Michael van der Mark and the Pata Yamaha Official WorldSBK Team were greeted by unseasonably warm and sunny weather as they rolled out at Magny-Cours for the first of three free practice sessions this morning. The initial focus was on adapting the set up of his Yamaha YZF-R1 machines to suit the Magny-Cours circuit, which is very different in both layout and character to Portimão. Van der Mark’s progress today was similar to that of Lowes, as he worked with his crew to find the optimal set up on his Yamaha YZF-R1 for the 4.411km Magny-Cours circuit. The 25-year-old waited until the final moments of free practice this afternoon before posting his fastest time of the day to finish fifth, ensuring his place alongside his Pata Yamaha teammate Alex Lowes in Superpole 2. Van der Mark is confident of challenging for a front row grid position for tomorrow’s 20-lap Race 1 when they take to the track for qualifying, which gets underway at 11.55 local time.